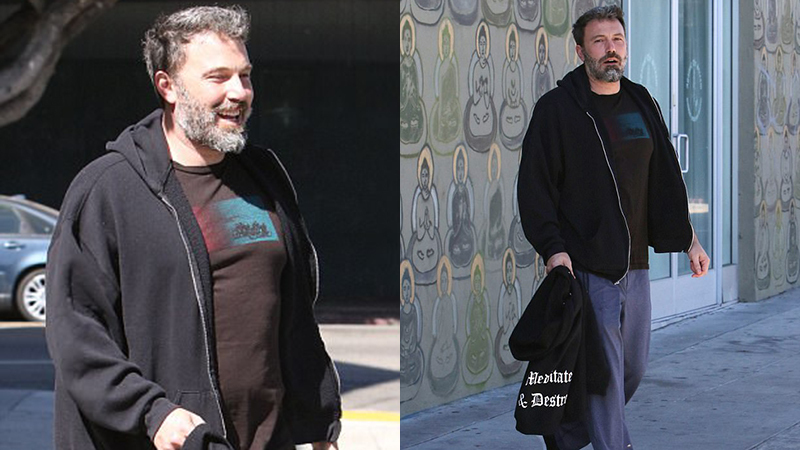 Ben Affleck is photographed at an outpatient treatment center in Los Angeles on Wednesday. The Argo star is reportedly still seeking treatment for alcohol addiction following his rehab stint in February. Dressed casually, the 45-year-old father-of-three looked in good spirits as he was spotted outside the building. An eyewitness said the actor looked ‘happy’ as he headed inside the facility. ‘He was in such a good mood and looked refreshed,’ the source said. It was just seven months ago that the actor announced he had completed a stint in rehab for alcohol addiction. The actor wrote in a Facebook post: ‘I have completed treatment for alcohol addiction; something I’ve dealt with in the past and will continue to confront. I want to live life to the fullest and be the best father I can be. ‘I want my kids to know there is no shame in getting help when you need it, and to be a source of strength for anyone out there who needs help but is afraid to take the first step. ‘I’m lucky to have the love of my family and friends, including my co-parent, Jen, who has supported me and cared for our kids as I’ve done the work I set out to do. 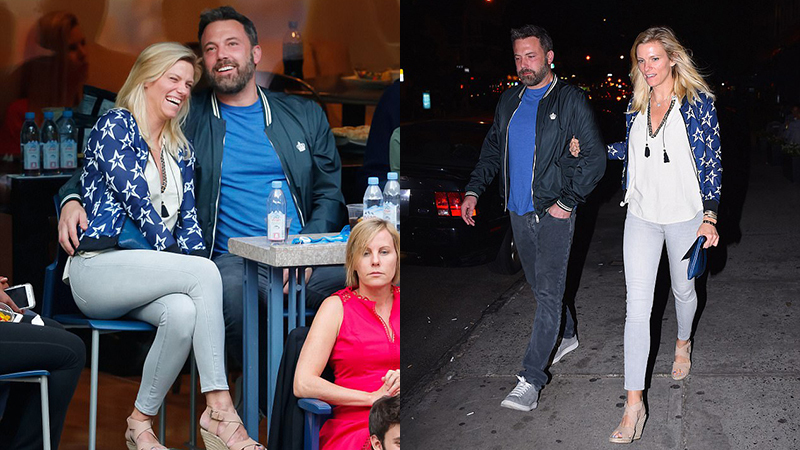 The following day Ben’s girlfriend Lindsay Shookus, 37, was spotted out in New York while the movie star remains on the west coast. Lindsay – who has reportedly been dating Ben since April – is based in New York where her ex-husband Kevin Miller and their daughter reside. Ben and his estranged wife Jennifer Garner live in Los Angeles, where they amicably co-parent their three children. Though Ben and Jen separated in 2015, the divorce filing only came this year. On Wednesday, In Touch reported Affleck was being urged by close friends to enter inpatient rehab, and many of those concerned are allegedly hoping he will check-in for his longest stint yet. The source added that whenever the actor is in treatment, he takes his recovery ‘very seriously’ and is also receptive to the advice of staff. 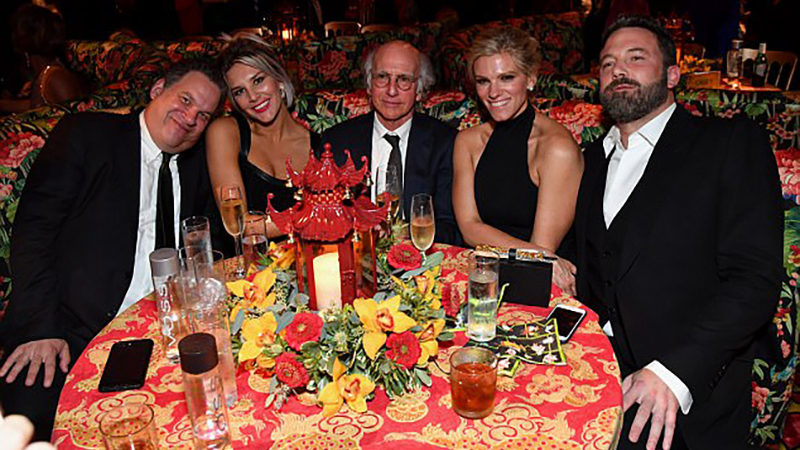 The website also previously reported that Affleck was drinking at an Emmy after-party, where Lindsay celebrated her Emmy win with a champagne toast. In a photo from the party, Affleck is seen sitting beside his girlfriend with a glass of water in front of him. DailyMail.com has reached out to Affleck’s representatives for comment on this story from In Touch. 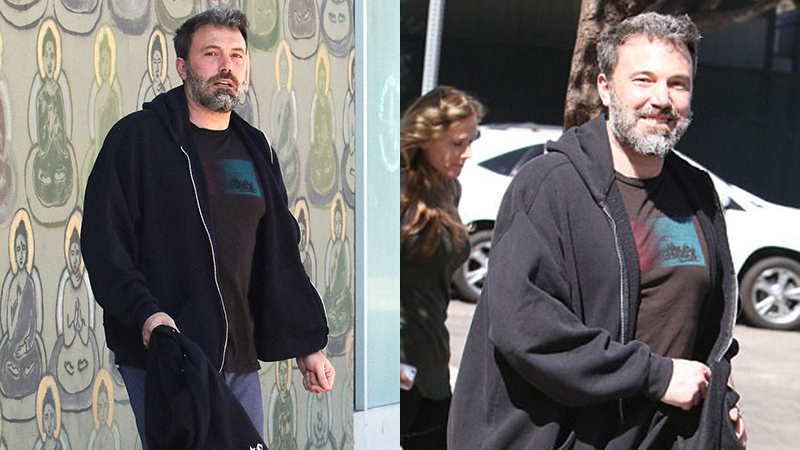 Affleck previously completed a stint in rehab in 2001. The actor was married to Jennifer Garner for ten years before the couple announced their split in 2015 and filed for divorce in 2017. They have daughters Violet, 11, Seraphina, 8, and son Samuel, 5, together. ‘Ben is taking the utmost care of himself and working on himself continuously;’ a source said in August.